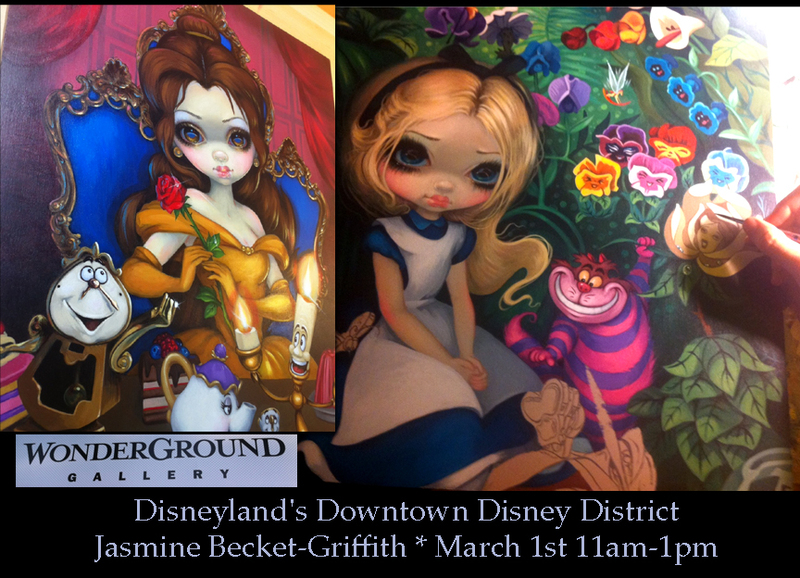 This Saturday ONLY at WonderGround Gallery at Disneyland! 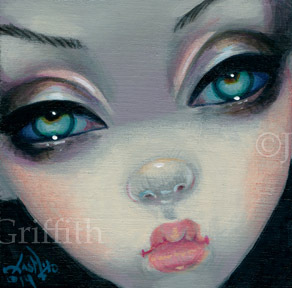 PLEASE NOTE: As Jasmine & Matt are both away at Disneyland, shipping on Strangeling eBay store items, ACEOs, original paintings & Limited Edition Canvas prints will be delayed until they return on March 5th. All other items will ship as usual, please bid on auctions, etc. as per usual - just expect a few days' delay on shipping and emails from Jasmine & Matt directly. A miniature 3"x3" square original painting on a wood panel - ready-to-hang! Actual original - not a print - on a .75" deep cradled lightweight wood panel (sides painted glossy black, gallery-style) - with a hanger on the back, all ready to hang on your wall. Bidding starts at just one penny HERE . Most of the time, paintings from my Tiny Treasures series can only be purchased at my live events - but for this once I've decided to let the rest of the world have a chance at one!